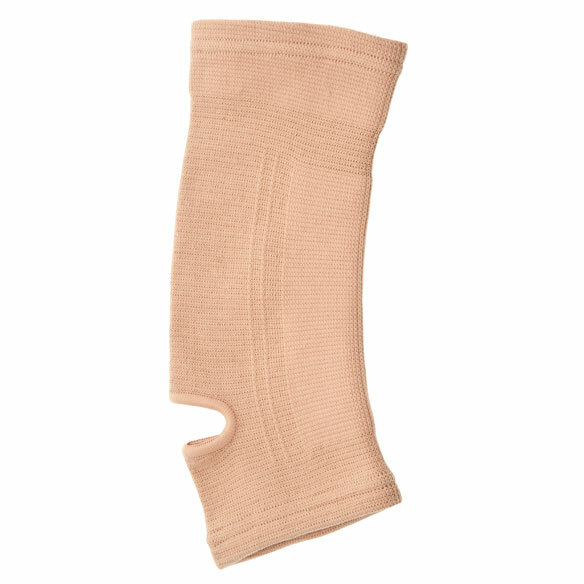 With an antimicrobial treatment to fight fungus and odor, this soft knit antibacterial nylon ankle support stays in place securely while allowing a full range of movement. Fits either ankle for full mobility and all-day comfort. Stay-in-place support firmly embraces without slipping or rolling for easy wear. Specify size: Small, Medium or Large. 65% polyester/10% nylon/25% rubber. Hand wash; antibacterial treatment lasts 20-25 washes. I have two of them and will buy new one's as needed! I use them while shopping, help's to keep the swelling down. So easy on and easy off. 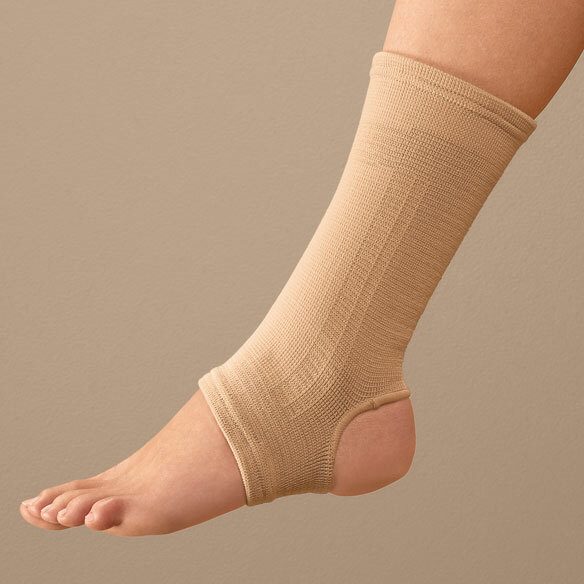 I had begun to have pain and edema of both of my ankles after having been on my feet for more than usual and I ordered these (2) and after the first wearing yesterday, I can report that the conditions have improved and I am much more comfortable today. have a weak ankle and enjoy wearing 2" heel shoes and need the extra support. I have tiny bones in my feet and constantly break them. Just giving ankle support another try since I am ordering other items. 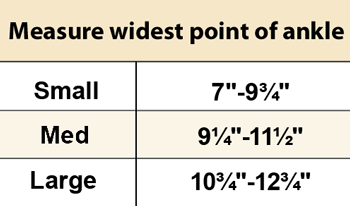 how to determine size ? BEST ANSWER: Thank you for your question. The size chart tab located next to the Overview tab, located about the description. We hope this information will be of help to you.